Fehrenbacher Farm produces USDA-processed lamb meat, flash frozen and vacuum wrapped, for sale at the Downtown Farmers Market from May to October and at the farm off-season. Our lamb is pasture-raised without antibiotics and is available in many different cuts from roasts to chops to lamb burger. 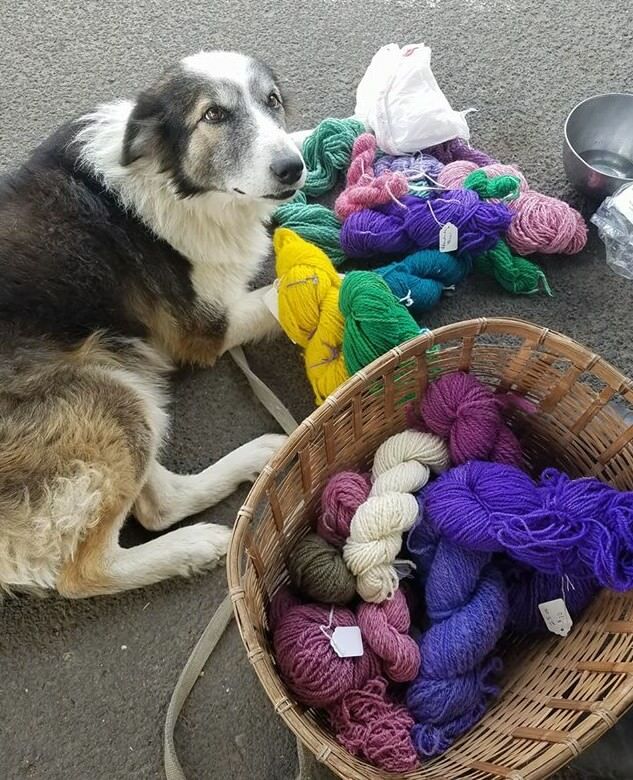 We also feature handspun wool yarn from our various breeds of sheep, as well as roving, craft fleece, and unique hand knit and crocheted garments, scarves, mittens, hats (including some synthetics for the wool-sensitive) made from handspun and commercial yarns. Whole lambs may also be available for local processing. Mary Jane Fehrenbacher has bred and raised sheep since starting in 4H as a child. Her farm is located on Sunquist Road just south of Stateline in Milton-Freewater.